Dr. Karen has been employed by Ulster University, School of Psychology as a Lecturer of Counselling Psychology since 2004. Prior to this, she worked as a Counselling and Health Psychologist, and practiced in the Child and Adolescent Mental Health Services (CAMHS) with some additional consultancy work in Pediatric Psychology and Clinical Health Psychology departments within the Western Trust. Karen’s current role as a Lecturer involves specializing and teaching ‘Child, Adolescent & Family Mental Health’ and ‘Cognitive Behavior Therapy’ at MSc level, and Counselling Psychology (UG level). 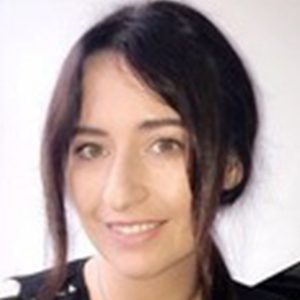 Karen is a full member of the Psychology Research Institute, and has a number of ongoing projects and peer review publications in the area of child and adolescent mental health research and evaluating the effectiveness of Low Intensity CBT approaches. One of the largest and ongoing studies has examined the local prevalence rates of common mental health issues facing young people today, such as self-harm, anxiety, depression and cyberbullying etc; while also determining the various psychosocial predictors of these growing issues. Karen also engages in evaluating other preventative mental health approaches (coping, resilience and cyberbullying) within the school curriculum, supporting the development of positive mental health and coping skills in young people. Dr Kirby remains registered with the Health and Care Professions Council and is a chartered Psychologist with the British Psychological.